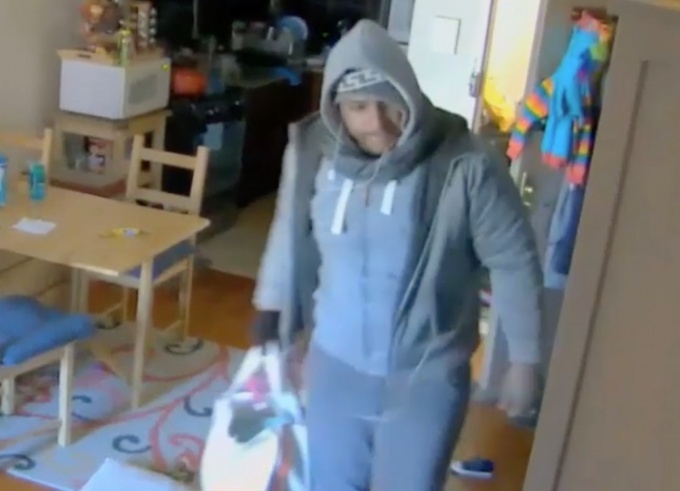 A thief made off with jewelry and other belongings totaling about $14,000 from a Flushing home in a burglary late last week, according to authorities. Police say a man forced his way through the front door of a home near 31st Drive and Union Street just before 2 p.m. on Jan. 31, and stole the trove of items once inside. It is unclear what, apart from jewelry, was stolen from the site. The suspect is described as Hispanic and around 40 years of age. He was last seen wearing a gray jacket and hooded sweater, gray sweatpants and white sneakers. The suspect can also be seen in surveillance video walking through the home and carrying a tote bag. There was a time when cops actually patrolled the streets of our neighborhoods, and animals like this might have been identified before they could invade honest peoples homes, and steal their hard-earned property. Am I the only one who realizes that the ignorant and useless War On Drugs is a complete and total failure, and has been since its inception? There will always be predators among us, those who will steal or otherwise take advantage of others if they can get away with it, and these are the ones that Law Enforcement, paid with our tax money, should be targeting. Wasting NYPD resources on months-long investigations of THC oil and cannabis produces nothing of substance, just photo ops that make the DA look like he’s actually doing something worthwhile. Drug addiction is an illness and should be treated medically, not criminally. All hypocrites who decry “illegal” drugs while engaging in alcohol use, tobacco, and prescription pills would change their tune if they were locked up and deprived of their poison for awhile. Let’s have a discussion about entering the 21st Century, and leaving the drug Prohibition in the past, where it belongs.